Think about a country road. Now think about the last time you went for a nice long drive along a country road. They’re usually fairly quiet, particularly at night, and maybe you feel like it’s a good opportunity to take risks with your speed. Nothing wrong with putting your foot down a little, right? Now, suppose you accelerate around a sharp bend, with no way of knowing what was around the corner. It doesn’t take a genius to work out what could happen. Country roads might be the first choice of route for a relaxing drive but they’re also responsible for 25% of all serious accidents*. It’s highly likely that you’ll encounter a sharp bend and poor visibility on your journey, which together can make country roads very dangerous to drive on. Throw some oncoming traffic or even some pedestrians, horse riders, cyclists or wild animals into the mix and you’ve got a recipe for disaster! Most country roads have a speed limit of 60mph, but that doesn’t mean it’s safe to drive at this speed. 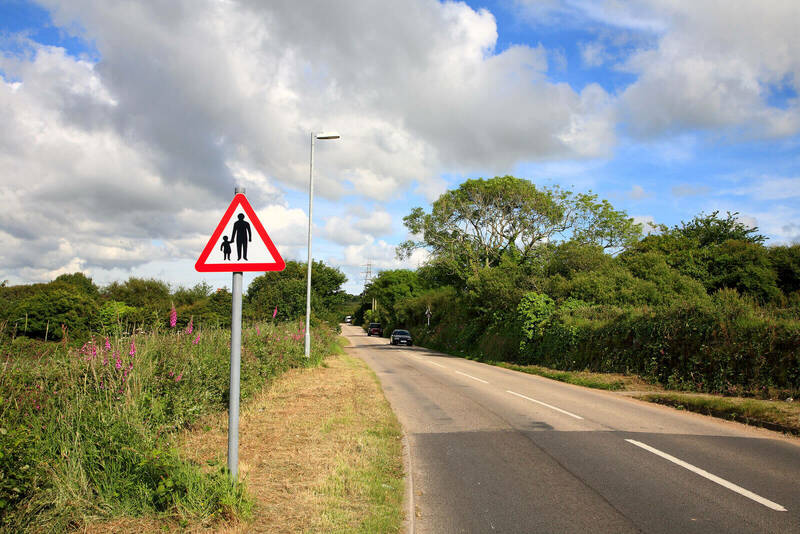 Remember – the speed limit is a maximum not a target! Our data (we’ve got more than 3 billion miles of it) shows that 56% of all serious accidents on country roads happen due to loss of control. This is the highest contributing factor to seriously injured casualties or fatalities, according to the Think campaign. The next biggest causes are drifting/head on collisions with 29% and pulling out into a third party’s path with 21%*. This is why it’s very important to take into account the road in front of you when driving on country roads. Even if you know the route, never take it for granted and let your concentration slip – you could be faced with different conditions every time. 1. Expect the unexpected – you could encounter many different hazards. Keep your wits about you, a hazard isn’t always something jumping out in front of you; it could be the sharp bend in the road that you can’t make out. 2. Brake before bends – slow in, safe out. It’s good enough advice to keep Lewis Hamilton safe so do the same. Slow down and go safely round the bend. 3. Adjust your speed – there’s no rush! You don’t have to drive at the speed limit but you’ve got to be safe. Adjust your speed to the road conditions. Not because we’re telling you it’s a good idea but because it ccould actually save your life. 4. Stay patient – patience is a virtue, especially on the road. If you’re behind a slow moving vehicle, keep calm and evaluate the situation. Don’t overtake at the first opportunity, especially if you can’t see what lies ahead. Every single day 3 people are killed on average country roads. Be patient. Be vigilant. Be safe. For more information and tips on how to drive safe on country roads at night, read our blog.